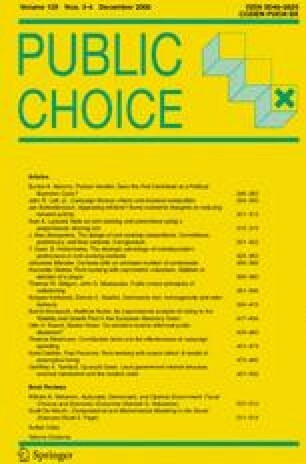 Do elections lead to informed public decisions? Democracies delegate substantial decision power to politicians. We analyse a model in which the electorate wants an office-motivated incumbent to design, examine and implement public policies. We show that voters can always encourage politicians to design projects. However, they cannot always induce politicians to examine projects. In fact, politicians who would examine policies without elections, say because of a concern about the public interest, may shy away from policy examination with elections. We would like to thank an anonymous referee for valuable comments.